Bruno de Hezeta y Dudagoitia, a Spanish naval officer, began an expedition iwhose mission was to explore and extend Spanish hegemony to the Pacific Northwest. That summer, he became the first to map and record a written description of the entrance to the Columbia River. The Lewis and Clark Expedition leaves Fort Clatsop for their trip up the Columbia, after spending over three months on Oregon’s rainy coast. Alexander Ross, a clerk with the Pacific Fur Company, arrived at the mouth of the Columbia on the Tonquin. Peter Britt (1910-1905) is born in Obstalden in the Swiss canton of Glarus. He will head west in 1852 and settle in Jacksonville, where he becomes a photographer and horticulturalist. Joseph Henry Wythe (1822-1901), the president of Willamette University from 1865 to 1867, is born in Manchester, England. At Waiilatp, Narcissa Whitman gives birth to daughter Alice Clarissa, who will drown at the mission in 1839. John M. Shively is appointed postmaster of Astoria, the first postmaster west of the Rocky Mountains. Cornelius Gilliam (1798-1848), the namesake of Gilliam County, was killed at a camp at Upper Well Spring on the Oregon Trail by the accidental discharge of a loaded gun that caught on the rope he was pulling out of a wagon. 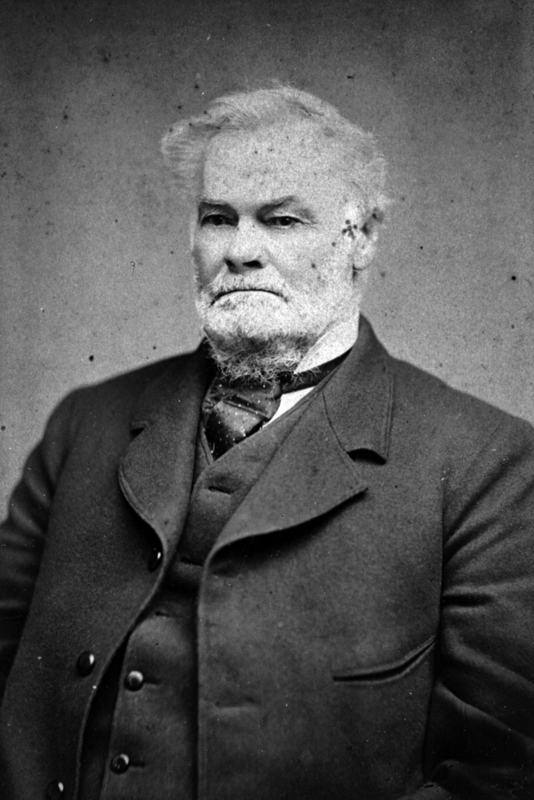 Joseph Lane (1801-1881), the first governor of Oregon Territory and a defender of slavery, arrived in Oregon City. Judge Matthew Deady (1824-1893) argues his first case in an Oregon court. The U.S. Congress passes the bill creating Washington Territory. George Himes (1844-1940) leaves Olympia, Washington, for Portland, where he takes a job as a typesetter for Henry Pittock, publisher of the Oregonian. Elmer Ivan Applegate (1867-1949), an important early Oregon botanist who helped organize the Klamath irrigation District, is born near Ashland. Architect Morris Whitehouse (1878-1944), whose firm was the longest operating architectural office in Oregon, is born in Portland. David T. Mason (1883-1973), one of the first professional foresters in Oregon, is born in Newark, New Jersey. Ion Lewis, a noted architect, and William Marcy Whidden establish the firm of Whidden and Lewis in Portland. They will design the Portland Hotel in 1890 and many other important buildings in the region. Famed botanist Morton Peck (1871-1959), longtime Willamette University teacher, is born in a log cabin in Iowa. During his lifetime, he will collect over 40,000 plants, 1,600 slime molds, and over 50 new species. 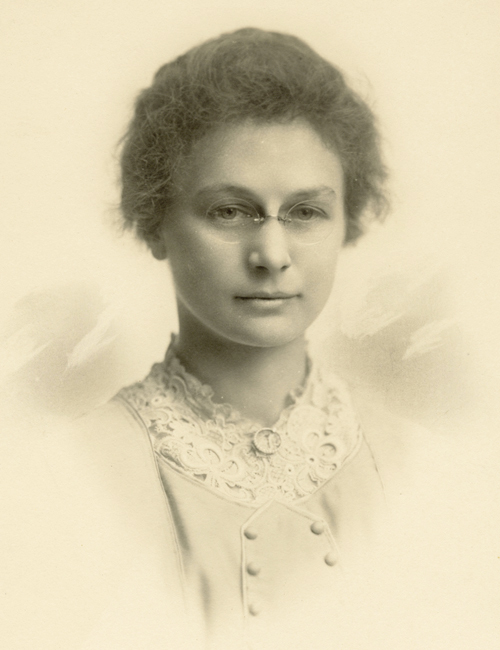 Librarian Mary Frances Isom (1865-1920) begins working for the Library Association of Portland, the first tax-supported, free public library in Oregon. Philanthropist Hallie Brown Ford (1905-2007), who with her husband Ken would establish the Roseburg Lumber Company and the Ford Family Foundation, is born in Red Fork, near Tulsa, in Indian Territory. Stephen Puter (1857-? ), the King of the Oregon Land Fraud Ring, is apprehended by Secret Service detective William J. Burns in Boston. The Oregonian reports that lawyer Fern Hobbs (1883-1964), who earned $3,000 a year as private secretary to Governor Oswald West, was the highest paid of any woman in public office in the nation. A week before the United States entered World War I, Marian B. Towne (1880-1966) volunteered for service as a Yeoman F in the U.S. Naval Reserve, the first time that women other than nurses were admitted into the U.S. armed forces. 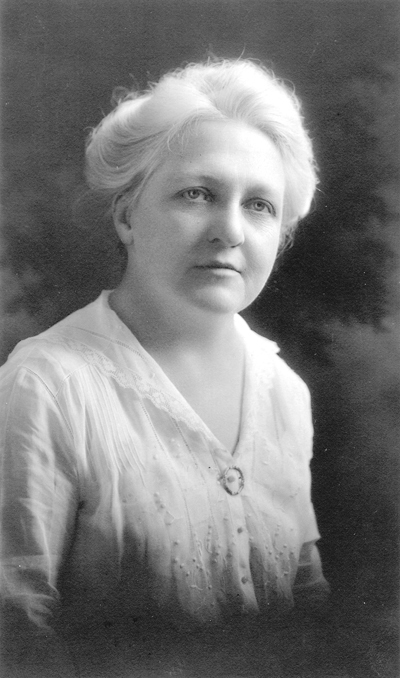 In 1914, she would be the first woman elected to the Oregon House of Representatives. Movie fans line up on Broadway for the opening night of the Portland Paramount Theatre (today’s Arlene Schnitzer Concert Hall), featuring New York’s Greenwich Village Follies, musical selections from the Wurlitzer organ, and the comic silent film Feel My Pulse. Gordon Barlow Dodds (1932-2003), teacher, writer, and historian at Portland State University, is born in Wilwaukee, Wisconsin. Poet and social reformer Edwin Markham (1852-1940), Oregon’s first poet laureate, dies on Staten Island, New York. Ignacio Garnica Espinosa, a bracero and a member of a section gang repairing a broken rail in Portland, is struck by an automobile; he will die six days later. Dale Murphy, perhaps the most accomplished baseball player from Oregon, is born in Portland. The Dalles Dam reservoir floods Celilo Falls and a portion of Celilo Village on the Columbia River. Richard Neuberger (1912-1960), the first Democrat from Oregon to win election to the U.S. Senate in forty years (in 1954), dies. The Portland Timbers buy John Bain (1957-), who had begun playing for the team the year before. He played five seasons with the team, becoming its all-time leading scorer. Authorities reattach the towline to the New Carissa, a 639-foot freighter that wrecked on the North Spit near North Bend, and begin to drag it out to sea. The Portland Trailblazers retire number 22 in honor of Clyde “Clyde the Glide” Drexler, the All Star shooting guard who played for the team from 1983 to 1995. Mill Ends Park in Portland, the world’s smallest park, was restored to its original location at Southwest Naito Parkway and Taylor Street after spending a month in a planter outside the city’s World Trade Center.